While our dental team excels at restoring smiles that have been damaged by dental disease or injury, our primary goal is to help you and your family achieve excellent oral health that lasts for many years to come. 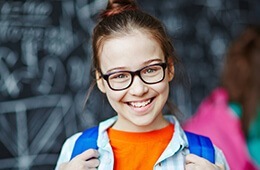 We can accomplish this with comprehensive evaluations, revitalizing hygiene appointments, and other quality preventive services that help to strengthen and protect smiles at all stages of development. Contact Generations Dental Care in Concord, NH today if you have any questions for our doctors and staff members, or if you’re ready to schedule your first visit. Children, adults, and senior citizens alike should be attending routine checkups and cleanings twice a year, or once every six months on average. 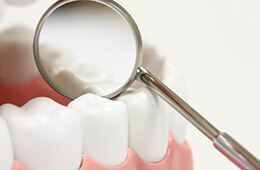 These visits are critical even if you diligently brush and floss every single day because there are subtle and dangerous problems that can exist under the surface of your smile and are only identifiable by dental professionals. During your regular evaluation, our team will thoroughly review each of your teeth, your gum tissue, your jaw, your bite, existing restorations, and other important areas for signs of damage or pain. If we locate any area of concern, our doctors can form a treatment plan that’s ideally suited for your unique preferences and oral health situation. Cleanings are a vital part of ongoing preventive care as well because they allow our team to remove decay-causing bacteria and plaque from the mouth, reducing the risks of cavities and periodontal disease. Our talented hygienists will also remove minor stains, leaving your smile looking and feeling refreshed. Maintaining healthy teeth isn’t just important for adults – your children and their “baby” teeth need plenty of support as well during those early years. At Generations Dental Care, we start welcoming young patients in for regular appointments around the age of three, and our staff members are always kind and patient with these special guests so that they have positive experiences. During each visit, we’ll take a close look at any instances of decay, check for proper oral development, and offer plenty of friendly instruction when it comes to brushing and flossing properly at home. Other effective, cavity-fighting measures are available as well, including dental sealants and professional fluoride treatment. Dental sealants are a simple but effective service that can help protect hard-to-reach premolars and molars (back teeth) from the threat of decay. This tough plastic material is directly applied to the chewing surfaces of these teeth and “sealed” securely in place, and its presence will help block food particles and dangerous bacteria from settling in place along these grooves. Our doctors typically recommend sealants for younger patients who are still learning how to brush and floss effectively, but they can also benefit adults in certain situations. If you regularly experience severe headaches or pained teeth that seem worn down over time, bruxism (also known as teeth grinding/clenching) is a likely culprit. 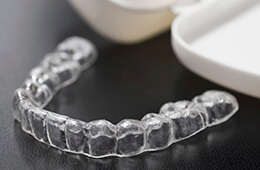 At Generations Dental Care, we regularly recommend the use of a custom nightguard for patients who are struggling with this “bad habit.” This device can be worn comfortably throughout the night and will help protect teeth from the damaging effects of grinding so that you can rest much more peacefully. Oral cancer is a dangerous health condition that can wreak havoc with your smile and ultimately your life – in fact, it leads to one death every hour on average. That’s why our doctors have integrated oral cancer screenings into every regular checkup for the safety of our valued patients. We use VELscope, which outlines potentially cancerous areas in the oral tissues with state-of-the-art fluorescent technology. Fluoride is a natural mineral that’s found in many water sources and food items. In fact, most communities actually add fluoride to their municipal water supplies for a very good reason. Research has shown that patients who grow up drinking fluoridated water tend to have stronger teeth on average that are far less prone to decay and cavities than their not-so-lucky counterparts. During regular appointments here in Concord, NH, our team may recommend professional fluoride applications if we determine that you or your child aren’t receiving enough fluoride exposure in your daily diet. 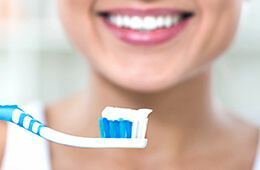 While professional checkups and cleanings are extremely important for maintaining ongoing oral health, the quality of your at-home personal oral hygiene routine is critical as well. That’s why our doctors and team members are always happy to recommend excellent products that can help our patients smile brighter, including Clinpro 500 Anti-Cavity Toothpaste, which offers prescription-strength protection against decay-causing bacteria.